Vebjørn Tandberg, born in 1904 in Bodø, Nordland County, was the genius behind the industrial adventure of Tandberg Radiofabrikk (Tandberg Radio Factory). During his whole life, Tandberg had a passion for technology and wanted to become a radio engineer. When he was fifteen years old, Vebjørn and a friend made a radio that was so technically successful that the SOS signal they sent out was mistaken for a Mayday from a ship in distress! After his high school graduation in Bodø, he started engineering studies at the University in Trondheim and trained as an electrical engineer. 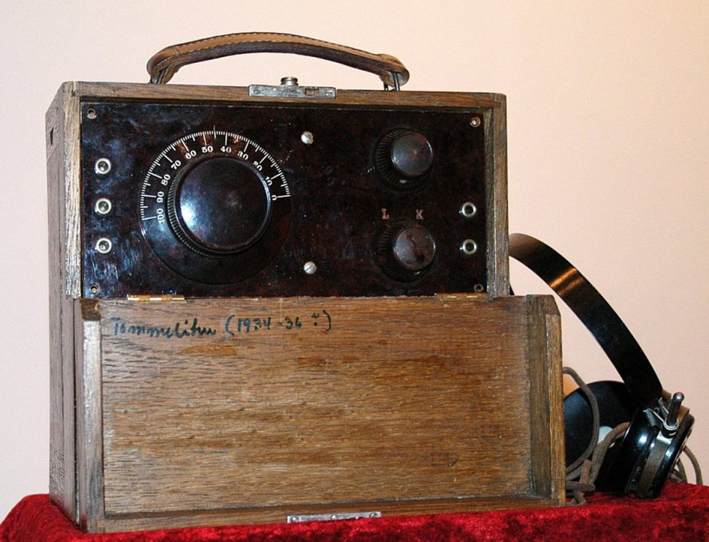 In the 1920’s, the radio was just an ‘infant’ in Norway (Norway got its first broadcast in 1923). The few people who had acquired radio sets could only listen through headphones. The amplifiers were not developed enough, but Tandberg knew what to do. He was convinced that radio was here to stay, it just needed some improvements. After brief study abroad, he began experimenting with microphones and speakers. Eventually he sold them to the Broadcasting Company. This was the first step into what would become a great technological adventure. Tandberg had only one vision: Radios to the entire nation! In 1933, he started radio production under the name Tandberg Radiofabrikk – the same year that the Norwegian Parliament founded the Norwegian Broadcasting Corporation. In the beginning, he focused on two radio models: The cordless ‘Tommeliten’ and the electric ‘Corona’. Both were equipped with loudspeakers. Throughout the 1930s, the demand for radios increased and he extended the production. During World War II, people had to hand in their radio sets and Tandberg had to scale down the production. His innovative personality came up with a solution – simple and ingenious. He asked his customers to make a contract for the purchase of radio until the ban was over.In 1945, when the war was over, 5000 preordered radio sets was waiting to be delivered. 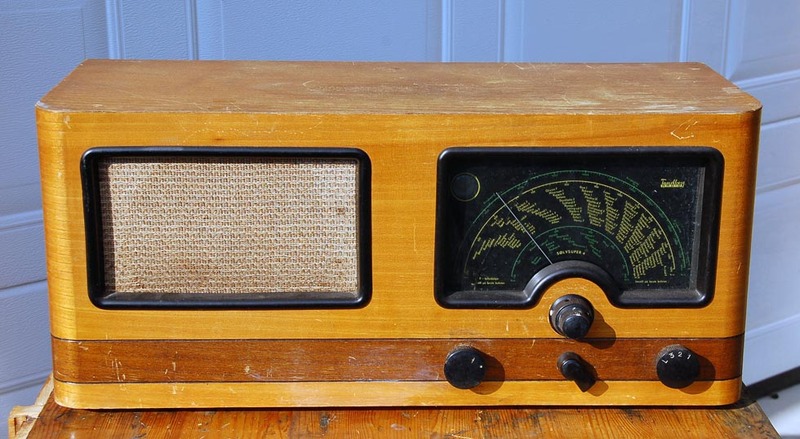 At the end of the 40s, most Norwegians acquired a radio set – like a Tandberg Sølvsuper. The two largest radio producers in Norway were Tandberg and Radionette. In order to stay ahead of rival Radionette, Tandberg started a production of tape recorders. The recorders became known far beyond the Norwegian borders for their brilliant sound quality. He continued to expand his business to larger premises in which he started producing TV sets. The radio factory grew even larger. In 1973, Tandberg had 3,200 employees in several factories in Norway, included daughter companies abroad. Vebjørn Tandberg introduced extraordinary social programs for his employees. He was one of the first to introduce child benefits and in 1948, working hours was shortened to thirty nine hours per week. Those who had been employed for more than ten years could raise ninty percent of their salary if they got sick. Tandberg was a generous and a social man. ‘Welcome to paradise’, he used to say when his guests arrived, wearing a Hawaiian shirt and cotton trousers (Which in those days was something strange and absurd). All of his guests were commanded to dance Jenka (Letkajenka – a Finnish folk dance) around the swimming pool. On an earlier occasion, Tandberg himself made a live recording of Louis Armstrong at a concert in Oslo. Obviously on a Tandberg tape recorder. With great pride, he played this recording – on Tandberg speakers – for the guests. 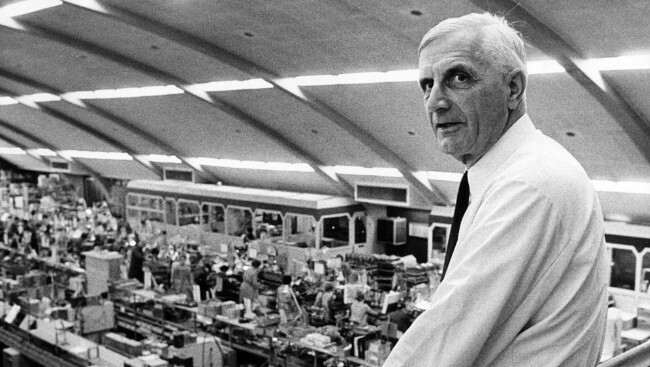 Former employees remember this fantastic atmosphere as one of the greatest experiences of their lives. – You are my family. You are my babies, Vebjørn used to say. In many ways, he was probably a lonely man, I think, but he was an extremely nice person, former employee Tove Gjerdrum said in an interview. In 1972, he took over the business of his biggest competitor in Norway, Radionette. At that time he nearly doubled the production area of ​​the company and was therefore one of the largest technology companies in Norway. – I turned off the radio and television and sat down darning my socks, Tandberg said in an interview. Nevertheless, he continued to visit the factories and followed the production with great eager. But on August 30th 1978, he received a letter from the new leadership of the company asking him to stay away from the business. That was the final call for Vebjørn Tandberg. He had nothing more to live for. After taking an overdose of sleeping pills, he went out in the garage – started the car and let the exhaust end his life. A remarkable life was over. – We who worked there, and who knew him, could in advance say that the day he was denied access to his life’s work – to his children – he would no longer live, former colleague Arnfinn Aleksandersen said – in memory of his friend Vebjørn Tandberg. What a tragic end to such a brilliant life, The man was a genius, as well as being a thoroughly decent human being. Tandberg made some fantastic kit too. I recently acquired a Tandberg Huldra 10, that dates back to around 1974. That makes it nearly forty years old! The Huldra series was named after a strange, seductive and stunningly beautiful female creature from Norse folklore. Huldra had long blond hair and always wore a crown made of flowers. She also a bit of an oddball, as she had a tail of a cow or a fox (depending on whose account you read). The Huldra 10’s VHF/FM performance is still as good as anything modern. Despite its age, it is still remarkably sensitive and its stereo decoder works perfectly. And unusually for equipment of this age, it has four FM pre-sets to compliment the manual tuning. Its AM section is simply amazing. In addition to the usual MF/medium-wave band, it has LF/long-wave and three HF/short-wave bands – all of which perform as well as anything modern in my collection. The feel of the finely-balanced fly-wheeled tuning system is simply a delight to use. And I particularly like the fact the the AM and FM section have separate tuning controls – so you can listen to say CRI on short-wave, and then pop back to FM to catch the BBC news, and then return to where you were on short-wave, without retuning. Despite its age and its mixed heritage, Huldra 10 is pukka hi-fi, with plenty of inputs – tape & phono. It also has an “aux” input that allows connection to all that modern stuff , e.g. MP3 players, PC’s, flatscreen TV’s etc. And the aux and tape sockets have outputs too, so you can use it for ripping vinyl or tapes to your PC, digital sound recorder or whatever – providing you know how to wire up a DIN plug, of course.